Yes! Being able to post and being able to get avatars are completely independent proccesses. As long as the avatar in question doesn't involve any actions you cannot do when silenced, you're good to go. Hi there! How generous of you! *Tips ten gallon hat* As long as you aren't receiving neopoints or items (NP or NC), or anything else for your art, you are welcome to give it away however you choose! For those "adopting" this art, all the usual rules apply - no taking credit for it as your own, no using it in contests, etc. With the usual rules understood, adopt away! Glad you're enjoying the latest item! The issue is a weird quirk with how the layers work, but we'll look into if its something we can fix! 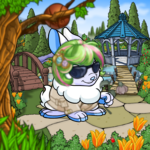 So, the reason romantic relationships have appeared in official events/plots, is that when we write them, we can control them and be sure that everything is appropriate for Neopets and our users. However, when it comes to your own writing, it's much harder to control keeping everything appropriate, so it's best for all of you guys and the site to just not allow romantic relationships at all. So, there are lots of things I could say here, but I'm gonna keep it real simple for ya - yes, yes, and yes. Oh and one more thing - never believe rumours you hear on the boards!